We are now accepting nominations for this week’s GO EARN IT High School Wrestler of the Week! You can nominate a wrestler in 4 ways. On Illinois Matmen: Post a reply to this article / forum thread using your Illinois Matmen screen name. On Facebook: Post a reply to our Facebook post requesting nominations. On Twitter: Reply to our tweet requesting nominations or send us a DM. Via Email: Contact us by email with your nominations. ALL NOMINATIONS SHOULD INCLUDE THE WRESTLER’S NAME, SCHOOL, AND WHAT THEY DID THIS WEEK TO EARN YOUR NOMINATION (LIST NOTABLE WINS, TOURNAMENT TITLES, ETC). Nominations will close tonight at 5pm central time. 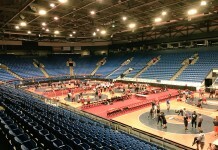 The Illinois Matmen staff will then choose what we feel are the strongest nominations. 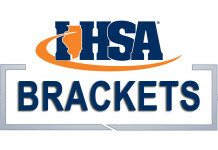 The top nominations will then be placed in a poll on the Illinois Matmen home page for everyone to vote. The poll will close Tuesday morning at 8am at which time the winner will be announced. The GO EARN IT Wrestler of the Week will get the choice of a GO EARN IT snapback hat or t-shirt and will have a feature story written about them on Illinois Matmen. Thanks for participating and if you want to win this award, GO EARN IT! Dayven Shinhoster, junior from Barrington. Brother of Jared Shinhoster, who was a state placer last year. Didn't wrestle a match last year, and coming fresh off the football season in one of his first matches, beats the Moore-Prettyman Champ at 220 Max Gomez of Stevenson in a barn burner.